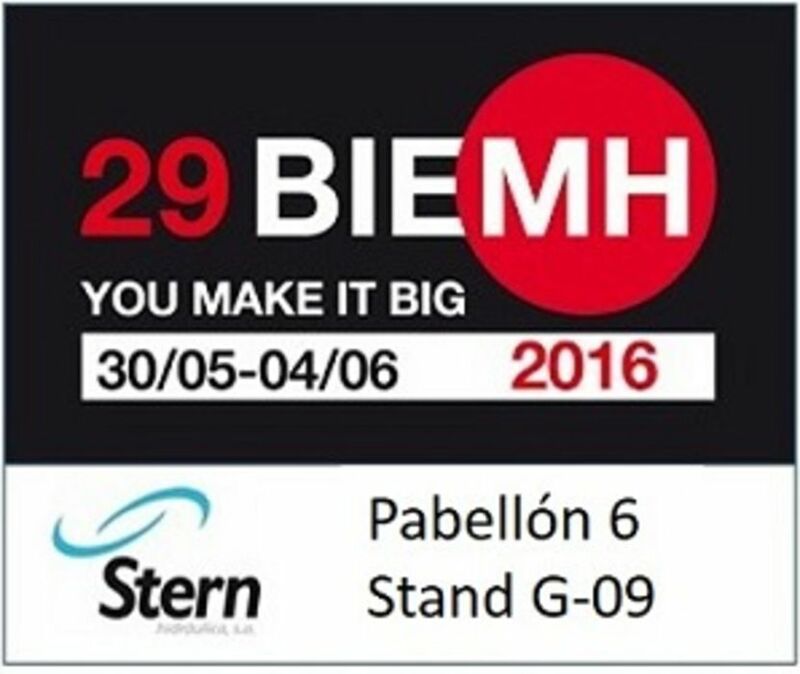 BIEMH 2016 (pab6 G09) | Stern hidráulica, S.A. The 4th industrial revolution has given rise to what is known as the “smart factory” or “industry 4.0.” Industries are now evolving towards computerised versions of factories, where all processes are interconnected and interact with each other. The new challenges for industry are software development, massive data analysis systems, data storage systems, the incorporation of sensors and electronics into equipment that interacts with production processes and into the resulting products. The relationship between human beings and machines is changing, and richer information can now be obtained for better, righter decision-making. BIEMH 2016 is to be held on 30 May – 4 June, in a context of increased optimism and with the confidence that comes with the consolidation of industry. With a total of 1314 exhibitors from 27 countries, 12% more than in 2012, including leading international brands, new sectors, almost 800 high-performance machines, 300 new products and training presentations, the 28th Machine-Tool Biennial was a big fair that offered big solutions for doing big business. Over 35,000 trade visitors and purchasers from 57 countries were able to see for themselves the high quality of the machinery, accessories, components and industrial equipment on display at the halls of the Bilbao Exhibition Centre.